Guitar forums are awash with talk of alnico V versus alnico II this, plain-enamel versus formvar-coated that, and what resistance reading your Strat pickup or PAF needs to be to achieve ‘authentic vintage tone’. 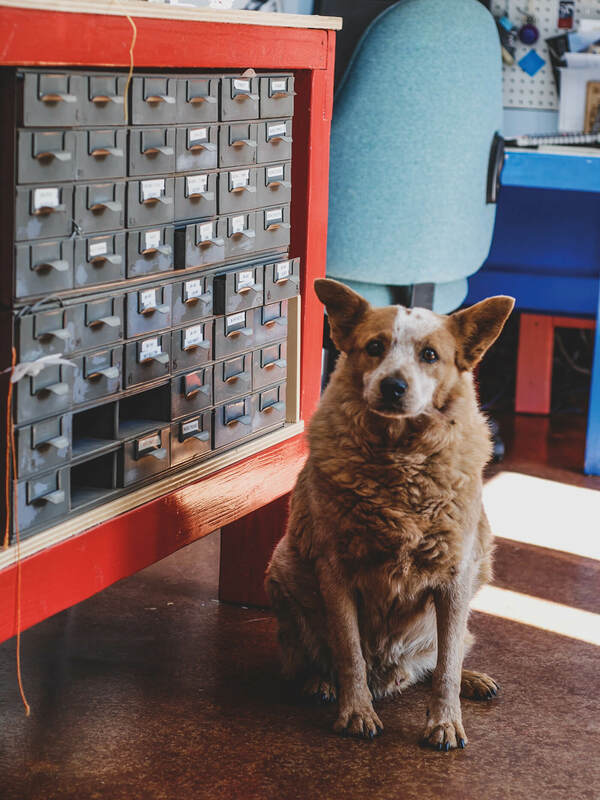 Ask New Mexico-based maker Curtis Novak to build you a pickup to your trendy specs checklist, though, and you’re likely to hear a ‘click’ at the other end of the line as he turns back to more important matters. 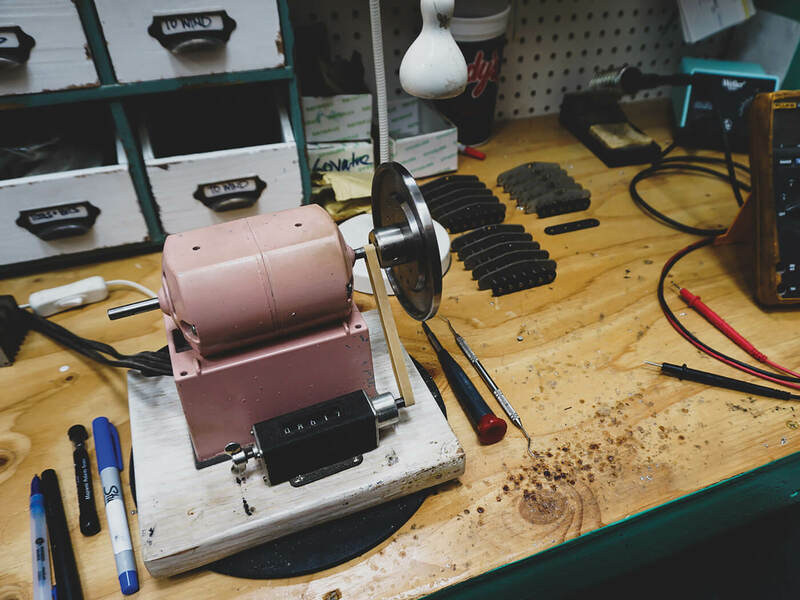 Novak has learned over his 20-odd years of making pickups professionally (backed by a good 15 years of winding them on the side before that) that the only way to guarantee customer satisfaction is to play it by ear. The results have yielded highly acclaimed pickups to fit just about any guitar or playing demand. Novak and his five-person crew are particularly known for a long-time specialisation in a range of Jazzmaster pickups, while having introduced some of the earlier Gold Foil-style replacements available anywhere, and from Strat, to Tele, to PAF-style humbucker, to stealth Melody Maker replacements and beyond, he’s got a coil to suit virtually every need. 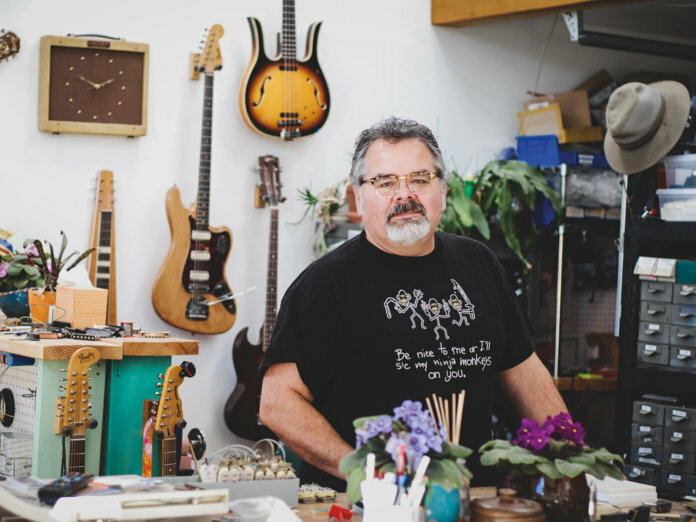 Novak was born in 1965 and grew up in New Mexico, where his early ogling of the instruments in the Sears and Montgomery Ward catalogues segued into hands-on messing with guitars and electronics. The youngest child in a large family, his siblings had all been provided school-band instruments and the like by Novak’s parents… until he came along. Following wreckage and carnage and the expense of years of hire-for-purchase woodwinds and battered percussion, they weren’t falling for that one again, so young Curtis had to fend for himself once the bug bit. The first craft inspired by Novak’s early guitar deconstruction, though, was refinishing – and he earned a reputation in that arena that equals his current standing as a maker of world-class replacement pickups. The practice of scavenging for old stripped Fenders at the local pawnshops and refinishing them to accurate vintage colours helped put Novak through college in the mid-to-late 80s and soon he had customers coming to him for vintage-spec restorations. Long before this, his first deep dive into the intricacies of coil winding had come out of necessity. While still in junior high, Novak decided his first electric guitar – a cheap Japanese Strat copy – just didn’t sound as good as it should and he began to suspect the pickups as the culprits. “I convinced my parents to get me a set of Seymour Duncan Strat pickups for Christmas,” he recalls, “and I installed them in the guitar. It was like night and day. They were great, but I didn’t get covers with them and the covers on my cheaper guitar didn’t fit, so they were just in there with raw coils. A friend of mine borrowed the guitar and bent the E string down over the coil while he was playing and broke the pickups. For a week, or maybe two weeks, I had really awesome-sounding pickups and then they were broken. 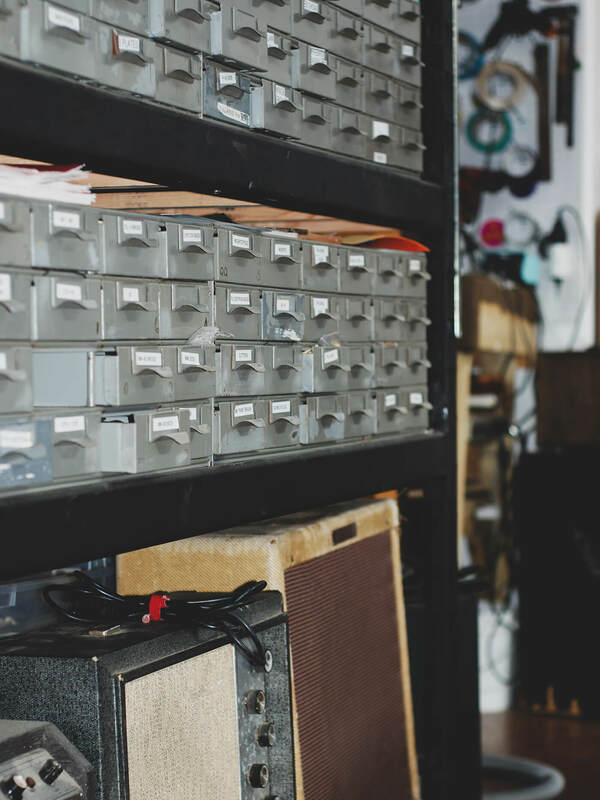 Novak says he learned a few things from his pal Jason Lollar and that he used his lab R&D experience – and the bountiful hardware available from local US government surplus stores – to build his own winders… “just like Leo’s old winders”. He insists that hand-winding his pickups (meaning, hand-guiding the wire onto coils turned by a motorised winder) is one of the major keys to their resultant sound. To many pickup enthusiasts, this practice will be known as ‘scatter winding,’ the technique of layering wrap upon wrap in a semi-random fashion. Alongside this, Novak also tends to dismiss the notion that there are any ‘magic ingredients’ that must be included to get a pickup to turn out a certain way. Which is not to say that materials don’t matter, but the specifics of components don’t matter as much to the overall results as does construction technique – something belied by today’s guitarists’ obsessions with the minutiae of ‘vintage correct’ ingredients. Although he feels he’s thoroughly debunked the notion that the ‘ageing process’ itself somehow imparts mystical characteristics to guitars or pickups, Novak does believe a vintage-like approach to manufacturing can make a significant difference, particularly in the extent to which any pickup’s coil is wrapped with wire. 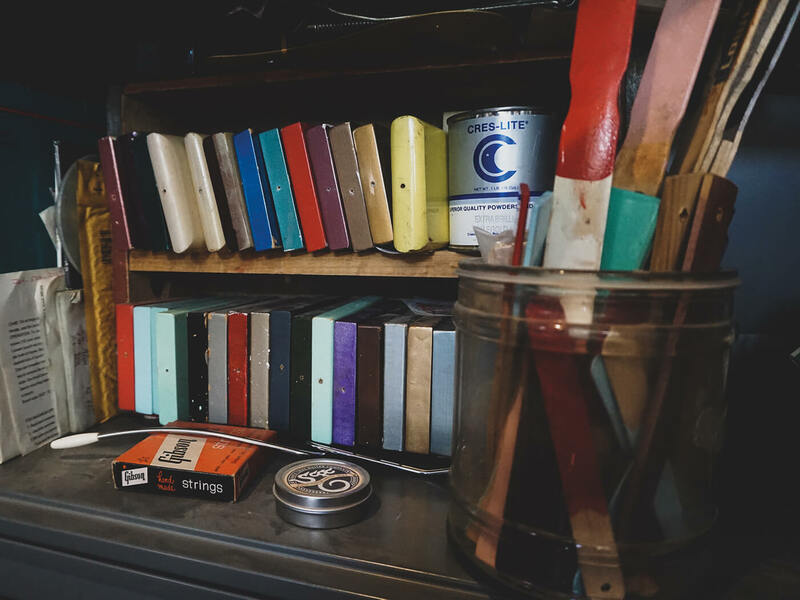 “When I was restoring [vintage guitars] and repairing them and going through a lot of them, I just naturally catalogued all of this information. Looking at one thing to the next, it came to me that, you know, Buddy Holly’s Strat sounded really good when it was brand new, and Eric Clapton’s Blackie and Brownie, when he did the Layla… sessions, were just 10-year-old guitars and they really sounded good. And if it is just a factor of age, the 80s Strats would be sounding really good now, and they just don’t. Instead, Novak discovered long ago that what are now often called ‘vintage wound’ pickups – those made with fewer wraps of coil wire, therefore exhibiting relatively lower resistance readings – offer the key to greater dynamics, tonal complexity and overall versatility in use, particularly when coupled with other vintage-style manufacturing techniques. Regarding hotter, over-wound pickups, Novak notes that some players might indeed want that all-fire-breathing-all-the-time performance, but that you’ve really got nowhere to go when you try to back out of that. “Back in the day, you know, Joe Strummer played the same Tele that Merle Haggard played and Ritchie Blackmore played the same Strat that Eric Clapton and Buddy Holly played. Where you take it is what matters. Nowadays, they’ve got all these over-wound pickups and all and they’ve got a million different artists’ Strats, but that artist only ever played the same one that everyone else played, originally. They didn’t have all this special stuff. Find out more at curtisnovak.com.